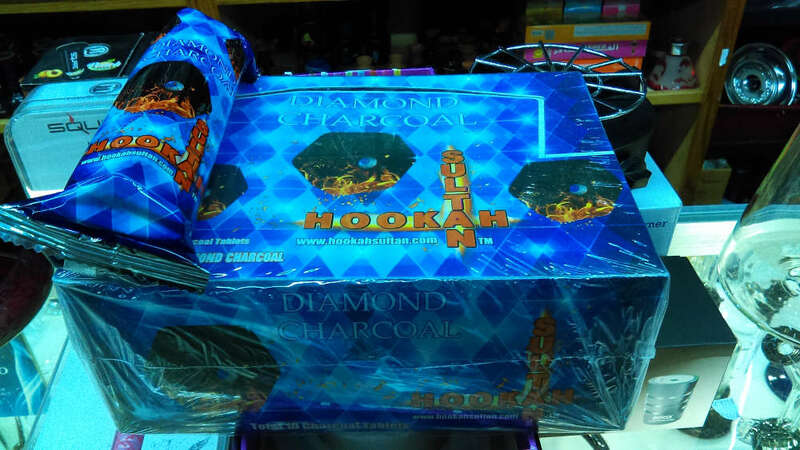 Diamond Charcoals [Hookah Sultan] are a customer favorite because they offer quick light ability in a larger size. These are some of the best instant flame charcoals in the industry. Their unique hollow diamond design promotes heat consistency. With these coals you can quickly get your favorite shisha flavor flowing through your hookah pipe with minimal effort. As an authorized dealer of Diamond Charcoals, we offer the best deals on this top instant lighting hookah charcoal brand. We offer a price match guarantee on Diamond Charcoal in which we will meet or beat the price of any local Kansas City headshop on this brand of charcoals. Our goal is to become known as the best place in kansas city to buy a fresh box or roll of Diamond quick flame hookah charcoals 2016.